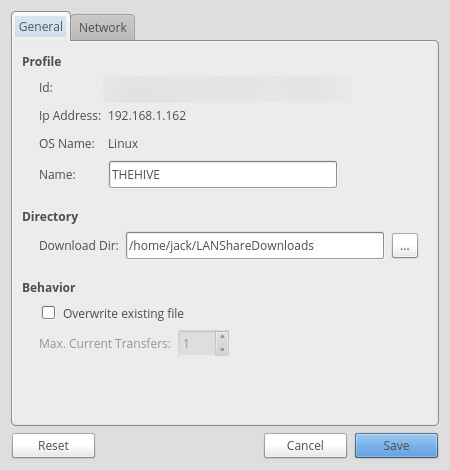 If you’ve been looking for an easy means of sharing files across your LAN, Jack Wallen believes you won’t find a tool simpler than LAN Share. I’m always on the lookout for ways to make my workflow more efficient. One area that always needs improving is file sharing across a LAN. Sure there’s Samba, but that requires a bit of configuration and usage that could be a bit above the paygrade of your users. So when I need the easiest way to share files over any given LAN, I turn to a handy tool called LAN-Share. With LAN-Share you can easily send files and folders to any machine on your network. The only requirement is that both sender and recipient have the application installed and running. With LAN-Share at work, users only need to know which machine they want to send to. LAN-Share auto-discovers all machines running the app, so users only have to select from a list. 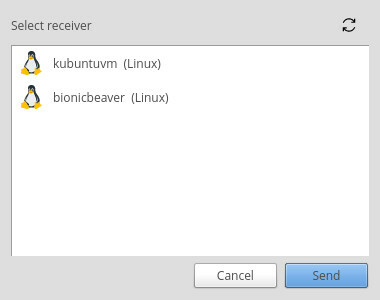 LAN-Share is available for Linux and Windows, so files can be shared between the two with next to no hassle. I want to walk you through the process of installing and using this remarkably handy network file sharing tool. I’ll be demonstrating the installation process on Elementary OS. The installation on Windows is straightforward and usage is the same across platforms. Download the .deb installer file. 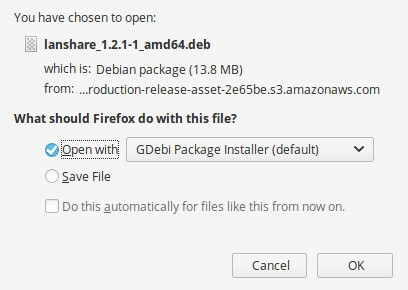 From your browser, select GDebi Package Installer from the Open with drop-down (Figure A). When the GDebi app opens, click Install Package. When prompted, type your sudo password and hit Enter. 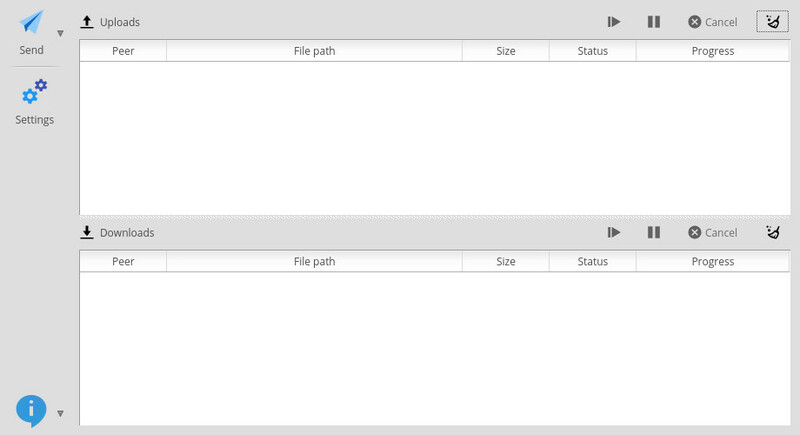 Change into the directory housing the downloaded .deb file. Issue the command sudo dpkg -i lanshare*.deb. In order for your machine to be available to other LAN-Share instances, the app must be running. When you open the app, you’ll find a very clean interface ready for action. Let’s share a file to another machine. To do this, click the Send button and click Send Files. Navigate to (and select) the file(s) you want to share and click Open. A new window will popup, listing all of the available machines running LAN-Share. Select the machine to receive the file and click Send. The file will immediately arrive in the target machine (without the recipient’s interaction). Out of the box, files are saved in ~/LANShareDownloads/. You can change that default receive directory in the Settings window. Click the Settings button (on the main window) and then (in the General tab), change the Download dir option to meet your needs. You can also change the name of your machine to make it easier for users. By default, LAN Share will use the machine’s hostname, which may (or may not) be intuitive to end users. Consider changing the LAN-Share name to your name or your job function. And that’s the gist of using LAN Share. It’s an incredibly simple tool that solves a problem that might perplex some admins and users. File sharing across your LAN doesn’t get much easier than this. Give LAN-Share a go and see if it doesn’t become your default LAN file sharing tool. If you enjoyed this article, you might also want to read How to install the iOS 12 beta your Apple device.